Adding an attractive appeal to any home, siding is a modern innovation that allows homeowners to easily update and improve the exterior facade of a home or garage. 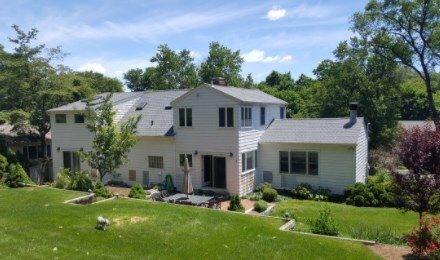 As Fairfield County's premier home improvement specialists, we pride ourselves on superior siding installation and repair of all types of residential siding. Understanding that the siding of your home is meant to protect as much as it is to beautify, we only use those siding products that have a proven reputation for high quality and guaranteed satisfaction. From aluminum and vinyl options to composite fiber cement siding, we'll suit the color, texture, material and size to your design expectations and your home's style, while keeping your budget and timeline as our top priorities. As a homeowner in Fairfield County, you deserve only the best when it comes to siding installation and home renovations. We strive to be your preferred choice for home improvement companies, and will work to forge a trusted relationship; one where you can always depend on fair pricing, superior workmanship, and unquestionably reliable service and care. Find out more about our commitment to renovation excellence and what that means for your siding project by scheduling your in-home consultation and project quote today.